Master these eight essential DIY skills and you will be able to keep things working at home, save money on hiring professionals, prevent disasters like flooding, and enjoy the satisfaction of a job well done! Every home and garden unfortunately has lots of things that will inevitably break or need maintenance. Sometimes the expertise of a professional will be required, especially if the task will interfere directly with the electricity, gas or oil supply, but you can and should do what you can yourself, to save yourself a fortune. You will also get to enjoy that particular sense of satisfaction all good DIY'ers know and love - the satisfaction of a job well done. Even if you’re renting, these basic DIY skills will often be easier to put to use than chasing your landlord for assistance. 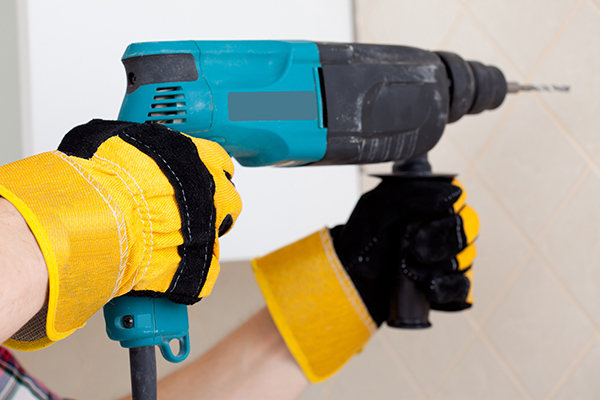 Being able to use a drill will open up a world of DIY and home improvement jobs to you; from putting up shelves, to hanging pictures, to even building your own furniture! To get comfortable using a drill, get some scrap wood or plasterboard to practice on. Carefully pull the trigger and feel how the drill reacts. Follow the drill manufacturer’s instructions to change the bits and experiment by drilling with each of them - drilling holes, inserting screws, and loosening screws. Make sure the bit is tightened securely into the chuck and start with a low torque setting. Before drilling into walls or ceilings, always locate any pipes and wires first so you can avoid them, see our guide on How to Locate Cables, Pipes and Studs. This is a versatile skill that you’ll find you need for many DIY jobs. When you’re putting up shelves, hanging a picture, tiling or paving, you will need to make sure what you’re doing is flat and level. Lay a spirit level along the line or surface you want to check. Allow the bubble in the vial to settle. If the bubble is in the middle it is level, if it is off to one side you will need to adjust the surface accordingly and check the level again. You may need to close one of your eyes to get an accurate reading. 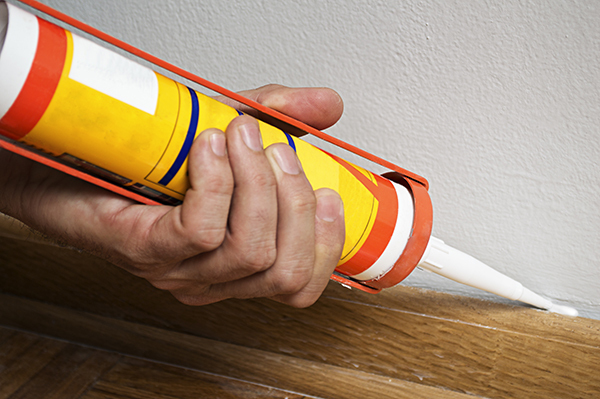 Being able to caulk with a caulk gun comes in useful for many vital DIY jobs, such as caulking around a bath or sink for a watertight seal, caulking around windows and doors to improve your home’s insulation and energy efficiency, and filling unsightly gaps behind skirting boards. The first step is loading the caulk tube into the gun. Do this by holding the gun handle and pulling back the rod from the end. Place the caulk tube in, slide the nozzle through the open end at the front of the gun, then release the rod. The next step is to cut the tip off the caulk nozzle with a utility knife. Cut at the width that you want the bead of caulk to be, so if you want to apply a thin strip of caulk, cut towards the tip of the nozzle. If you want a thicker bead, cut at the wider part of the nozzle. Cut at an angle so the tip will be flush to the surface during application. Hold the gun at about a 45 degree angle to the area you want to caulk, and squeeze the trigger while moving the gun along the area. When the trigger is completely compressed, release and start again. Without this skill you will not be able to proceed with a number of DIY jobs, such as fixing a tap for example, as it is an essential first step. You also run the risk of allowing a burst pipe to flood your home, so it is an important DIY skill to learn. Every home has an internal and an external stopcock, which are valves that control the flow of water into the home from the main supply. In densely populated areas like housing estates, the external stopcock may be shared with other properties and shouldn’t be turned off unless it is an emergency. If a pipe bursts in your garden, you will need to shut off the external stopcock using a special underground or external stopcock key, which is available in hardware stores. The external stopcock is usually under a metal cover marked “Uisce”. In most circumstances, you should turn off the water supply to your home at the internal stopcock. You will usually find this valve at the pipework under the kitchen sink, or in a downstairs bathroom. Turn the stopcock in a clockwise direction using an internal stopcock key, which is available in hardware stores. If you have any trouble locating or turning the stopcock in your home, consult a plumber. Top Tip - You should always turn off the water at the mains before you go on holidays to prevent serious flooding accidents while you are away, and also in the event of any extreme weather conditions where pipes are likely to freeze and burst. At some stage it’s going to happen! You will discover your sink, shower, bath, toilet or outdoor drain is no longer draining water away and you will need to clear the blockage. Sink, shower and bath drains tend to clog over time with food, grease, soap scum, hair and cosmetics like shaving gel; to unblock these drains see our step-by-step guide. Toilet waste pipes can also become blocked over time and you will notice the toilet bowl filling up with water; see our guide for instructions on how to unblock a toilet. Knowing how to wire a plug will come in handy if you purchase an appliance that is fitted with the wrong type of plug for your sockets. It may also save you money by getting broken appliances working again. Next time you have a broken electrical product at home, or suspect loose wiring, wear and tear or a blown fuse in a plug, try replacing it. Follow our step-by-step how-to guide to help you wire a plug. We recommend leaving any other electrical maintenance to the professionals, particularly if it involves the main electricity supply. A dripping tap is one of the most common complaints that concerns the plumbing in a household, and can be a hugely annoying waste of water and money. 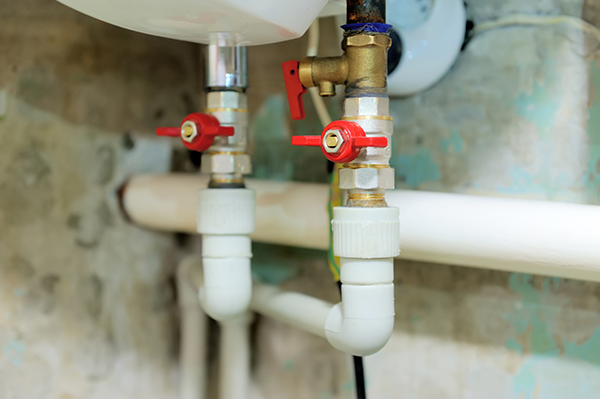 Prevent the trouble and expense of getting a plumber in to fix this problem for you, by learning this easy DIY skill yourself. If your tap is dripping, it is usually due to a worn washer. This is solved by simply replacing the old worn washer with a new one; see our how to repair a dripping tap article for help. 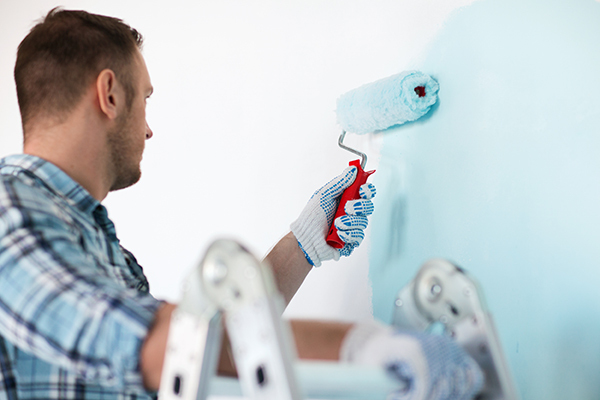 Doing your own painting will save you a small fortune, and if that’s not enough to put a smile on your face, a fresh coat of paint will also brighten up your home and lift your mood. See our guides on painting the exterior and interior of your home for easy to follow steps to a professional result. To recap, here are the top 8 again. How many can you do? 1-3: Novice! Oh dear! Clear your weekend plans, you have some catching up to do. 4-6: Intermediate... Room for improvement but you needn't hang your head in shame. All 8: Expert! Be proud, stand tall, pat yourself on the back, you're the Chuck Norris of DIY. If you have any questions about DIY or just need some advice, pop down to your local Topline store where the staff will be happy to help.